From top to bottom and from left to right: Ethel Baraona Pohl, Alberto Campo Baeza, Pedro Gadanho, Jason Pickleman, Zoë Ryan and Rick Valicenti. © MAS Context. Individual images by Ethel Baraona Pohl, Estudio Campo Baeza, MoMA, Andreas Larsson, Art Institute and Thea_Dickman. 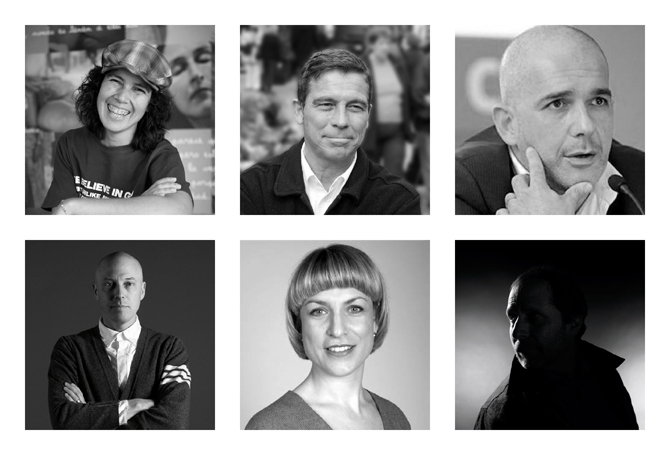 In order to continue to improve MAS Context and explore new opportunities ahead, we have created a board of advisors formed by designers working in different fields, from architects, graphic designers and artists, to academics, curators and publishers. All of us at MAS Context are big fans of their work, so it will be a pleasure to discuss new ideas, suggestions, comments and opportunities for MAS Context with them. Architect and co-founder of dpr-barcelona. Architect, founder of Estudio Arquitectura Campo Baeza and Professor at the Madrid School of Architecture. Architect and Curator for Contemporary Architecture at the Department of Architecture and Design at MoMA, New York. Founder of JNL Graphic Design Studio. Chair and John H. Bryan Curator of Architecture and Design, Department of Architecture and Design, The Art Institute of Chicago. Founder and design director of Thirst/Chicago, and winner of the 2011 National Design Award: Communication Design by The Cooper-Hewitt, National Design Museum.